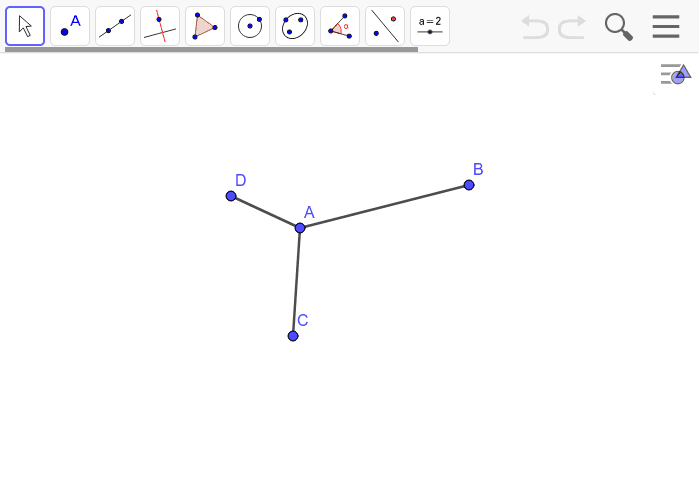 Use constructions to create a simple "wire-frame" drawing of a box starting from the given points. Hide any extraneous lines, so only segments are showing. Make segments which are part of the back of the box and would be hidden be dotted lines by editing properties.